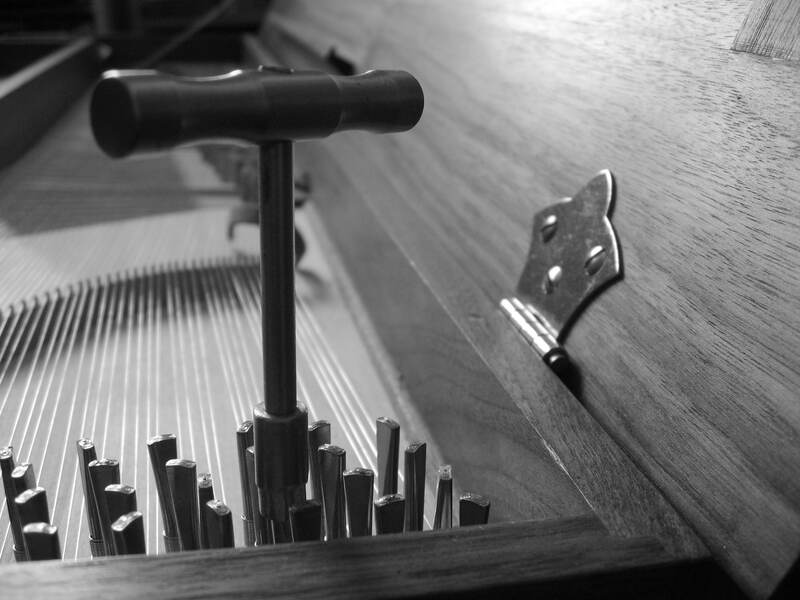 In addition to performing on harpsichord and organ, I often work as a tuner and maintenance technician for harpsichords, clavichords and occasionally organs. I regularly tune for Arion for concerts and recordings and regularly maintain instruments at Concordia University, as well as other repairs and tuning for harpsichordists around Montreal. In general, I tune by ear, starting with a tuning fork (either a physical one, or some kind of electronic tone generator), rather than using an electronic tuning box, like a Korg MT-1200 or similar. Sometimes an electronic aid can be very useful – when tuning several instruments that need to match exactly, tuning unfamiliar instruments, recordings where any deviation between takes might be audible, etc. They’re also very handy to use as a tuning fork for tuning to A=441, or other pitches. There are a few reasons that I prefer tuning by ear. Partly it’s just that I never got into the habit of using a Korg, because they’re rather expensive, and another fairly bulky object to add to the tool box. They’re also somewhat limited, in that they can only reproduce temperaments as a list of deviations from equal temperament, and usually with a precision of only one cent. For most purposes, that’s sufficient, but a trained ear can do slightly better. Most importantly, because they rely on deviations from equal temperament, you don’t get a sense of the structure of the temperament when you use one. 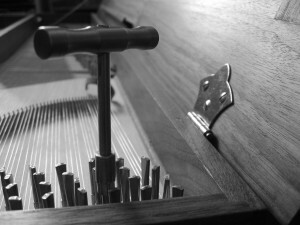 Tuning by ear, you know precisely how much each interval is tempered, and can easily understand the difference between, say, Valotti, and a modified meantone temperament. This also means that you can alter the temperament to suit a given instrument and repertoire. With that in mind, I wrote my own tuning software a few years ago, called ttuner. The main feature that sets it apart from most other programs is that temperament are entered as a series of intervals, rather than as deviations from equal temperament, just as you would if you were tuning by ear. It is a very simple program that runs on any computer running linux or windows (it should work on Macs as well, though I haven’t been able to compile or test it since I don’t have one myself). I usually use it to generate a series of audio files which I play back on my mp3 player or phone as needed. This way I don’t need to bring a computer with me when I tune!